November’s here and it’s time to start shopping for the holidays! With the pre-holiday sales upon us, this is one of my favorite times of the year! My family has a ritual when it comes to shopping for the holidays, we pregame with all the local flyers and back that up with a few searches via our favorite internet search engines! Each year we get out there and do our best to #WinTheHolidays and this year will be no different! 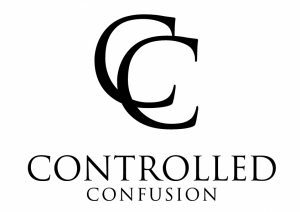 The only thing that will change is that we will be making an early run to Best Buy during their Holiday Shopping Event on Saturday, November 7th from 1pm to 5pm! A chance to preview and shop the Holiday Collection from the biggest brands including Apple, Microsoft, Samsung and Sony. Plus exclusive offers from these brands and more! Best Buy Experts will be available to answer all of your questions and help you find the perfect holiday gift! So how do you prepare for the festivities you ask? You can start here where you can find out more about the Best Buy Win the Holidays $1,000 Gift Card Sweepstakes, great offers, details, vendor demonstrations and your closest Best Buy store! 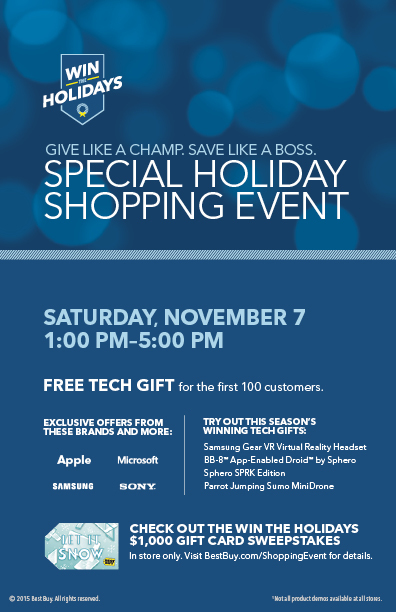 After that clear space on your calendar for the Best Buy Holiday Shopping Event on November 7th from 1-5PM!